Purr D Faith 5497315, is from some of the finest running horses around. Her sire, Furrtreeous, SI 102, $424,651 (multiple stakes Winner/Placer), on the top he goes back to Special Effort, Easy Jet, and Lady Bug's Moon. He has also proven himself as a sire and has many winning prodigy. On the bottom, Furrtreeous is out of Beeline Feline, SI 101 $89,313. Rare form SI 121 $278,191 and Six Fols SI 90 $72571 are on her side. Purr D Faith's dam, Purr Lee SI 106 $45,038. is out of Pure D Dash SI 121, $50577 was the worlds fastest quarter mile stallion in 2000, and a multiple stakes winner. His dam was Native Noblesse SI 93 who has Raise your glass and Native Dancer in his pedigree. Purr D Faith does not have any horse in three generations that has a speed index of less than 90. This mare has SPEED built in!!!!!! 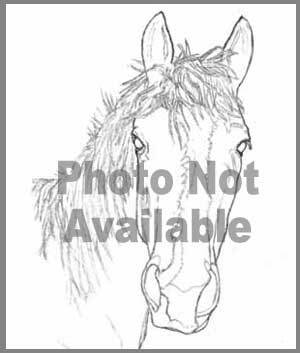 She sells as a brood mare ONLY as she was injured as a weanling, and is OPEN at this time. .